A cork topped glass vial holds all 47 of these clear sweet gemmies. 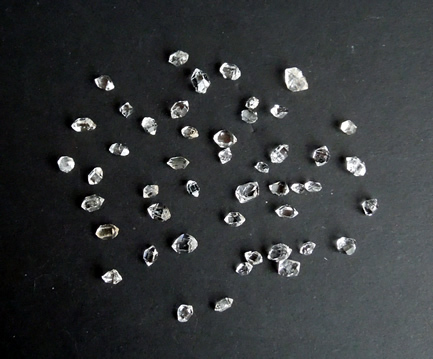 This assortment of small Herkimer Diamonds range in size from about 6 mm to 10 mm. 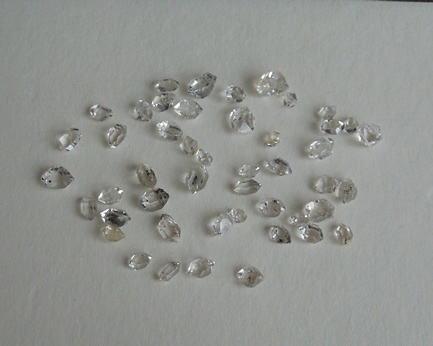 Average size is 8-9 mm / .75-1.5 ct.
All are natural double terminated quartz crystals with good to excellent clarity. Several contain anthraxolite, or hydrocarbon that gives them a rich hue. Also included are twin and pale golden healer crystals. Some are a round shape, some elongated. 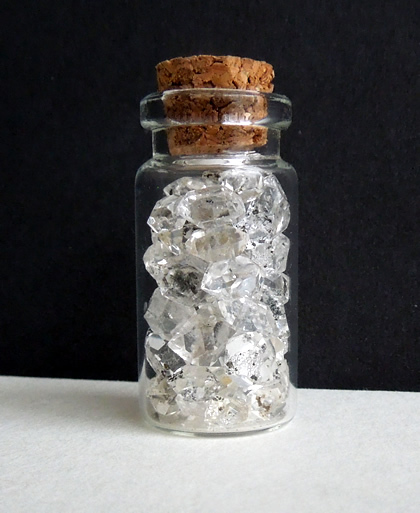 All Herkimer Diamonds are the perfect size for amulets or pouches. 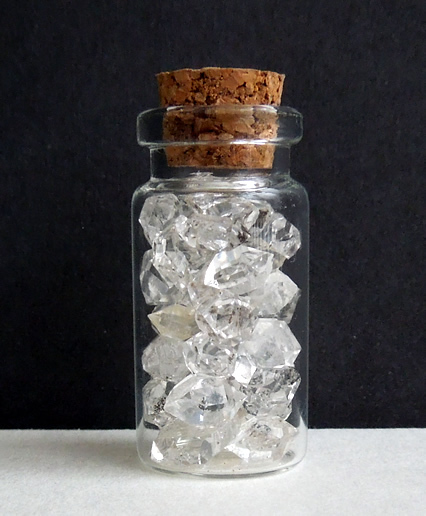 Over 51 ct. of small clear Herkimer Diamonds.